But fear not, because the best way to stay warm in times like these is to turn on your oven! And The Queen is rising to the occasion (and again, see what we did there?) with a few immaculatey easy scratch baking recipes that will make everyone’s tummies warm and happy! We are counting down to Christmas! 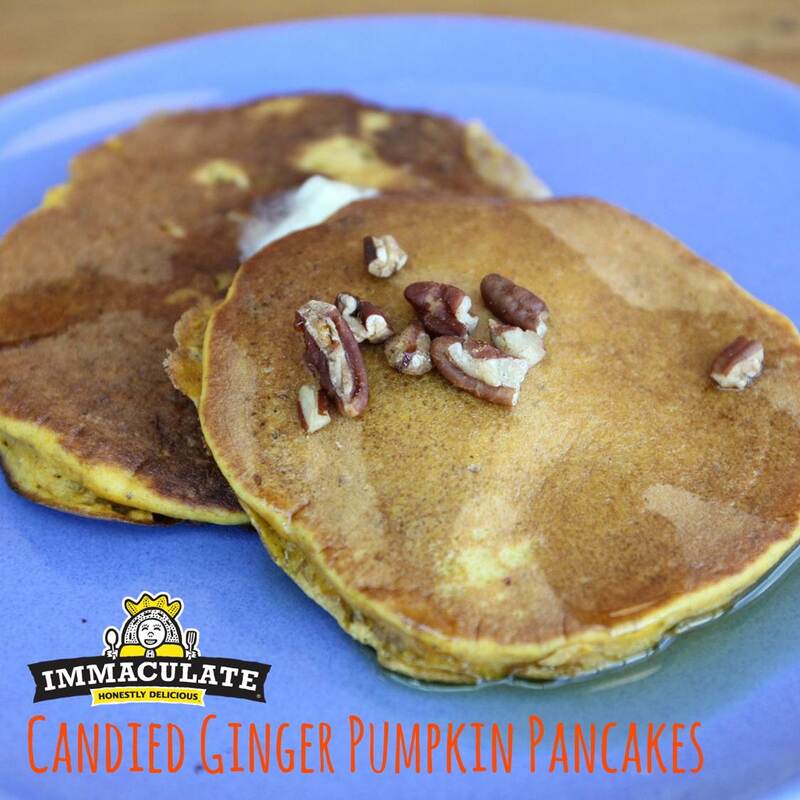 We know you’re probably all set for Christmas Eve dinner and cookies for Santa, but we thought you might need some ideas for Christmas morning breakfast! 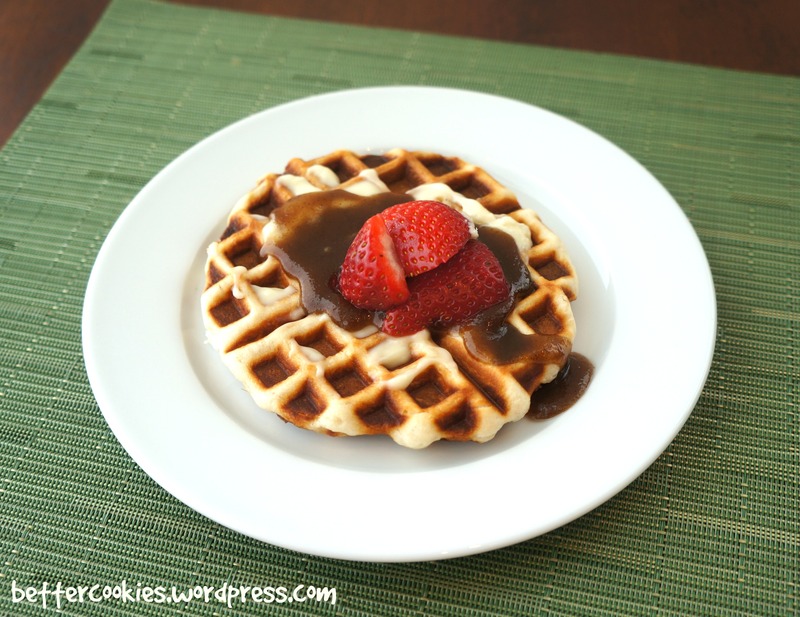 We’ve done Waffle Iron Cinnamon Rolls in the past, but did you know you could make waffle iron biscuits, too? And boy, are they deeeeeelicious! Yes, we’ve heard this not once, and we’ll be the first to admit that there’s work to be done our our refrigerated scones. But for the time being, we’re thrilled to introduce this oh-my-gosh-this-is-heaven made-from-scratch scone recipe! Yes, it’s not as convenient as popping a can, separating dough on pan and baking it. 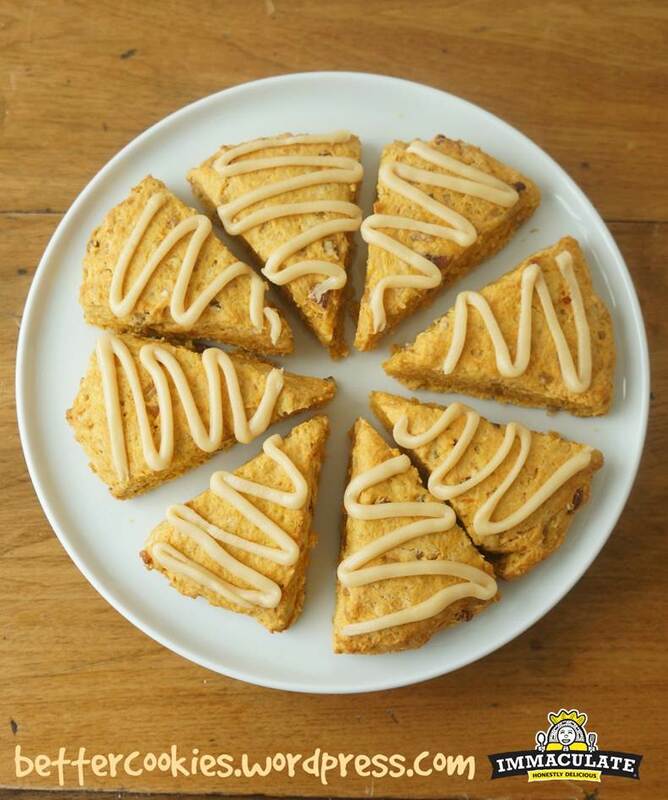 But I promise you, these Glazed Candied Ginger Sweet Potato Scones will be well worth your time and efforts! And you know what the best part about it is? We’re sharing this recipe right around Thanksgiving, and we all know that there’ll be plenty of sweet potato dishes at the dinner table, possibly leftover for the day, the week after! Well, here’s the perfect recipe that will give your leftover sweet potato mash a delicious makeover! 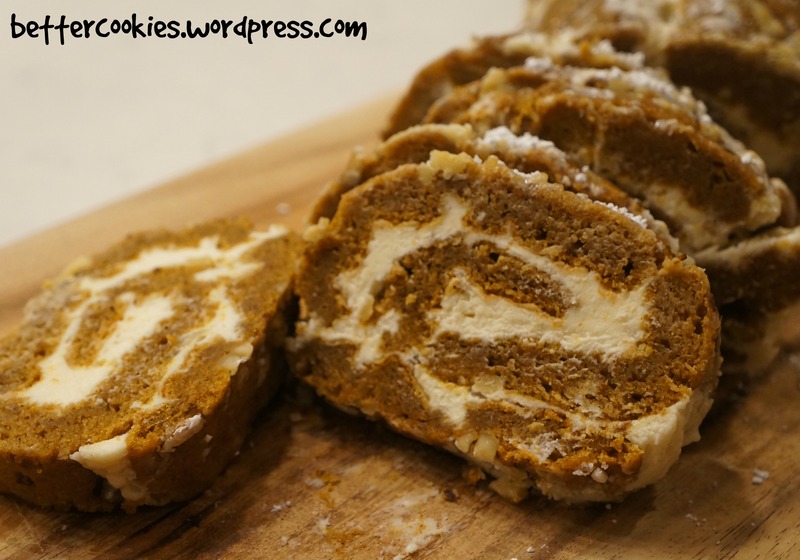 Ever since Immaculate Baking came out with our Organic All-Purpose Flour, my friend has been telling me that I need to check out this pumpkin roll recipe from LIBBY’S®. This friend of mine is one of the best cook/baker that I know, she taught everything I didn’t know about baking and more. So I knew to listen. And OMG she was right. Yet again. Scratch baking can seem a little daunting at times, and sometimes the seemingly-never-ending ingredient list is enough to make you call it quits. But the truth is, baking is a science, and anything that’s scientific, where there are steps to follow, and a list to check off, and things that can be measured out, well, these are things that can be learned, memorized and perfected. Given enough time. There was quite a bit of confusion around whether or not today is in fact National Pancakes Day, because apparently IHOP has their version around Feb/March, but all these food websites are saying that today is the day you should stack it tall! Hey, all this is telling us is that people WANT their pancakes, and we’ve got the perfect seasonal pancake recipe for you! Heat nonstick skillet or griddle over medium-high heat or to 375°F. In large bowl, stir all ingredients except oil, additional pecan halves and maple syrup. Brush skillet with vegetable oil. For each pancake, pour 1/4 cup batter onto hot skillet. Cook about 1 minute or until edges are dry and bubbles break on surface. Turn; cook other side until golden brown. Garnish with additional pecan halves. Serve with syrup. How-To To toast pecans, sprinkle in ungreased heavy skillet. Cook over medium heat 5 to 7 minutes, stirring frequently until pecans begin to brown, then stirring constantly until light brown. Substitution No pumpkin pie spice? Use 1 teaspoon ground cinnamon and 1/2 teaspoon each of ground nutmeg and ground ginger. If you’re like me, who prefers a savory brunch or breakfast option, well, this Cheesy Rosemary Biscuit recipe is for you! I have to admit, I’m not a huge pancake or waffle eater. Whenever given a choice for breakfast or brunch, I always go the savory route. 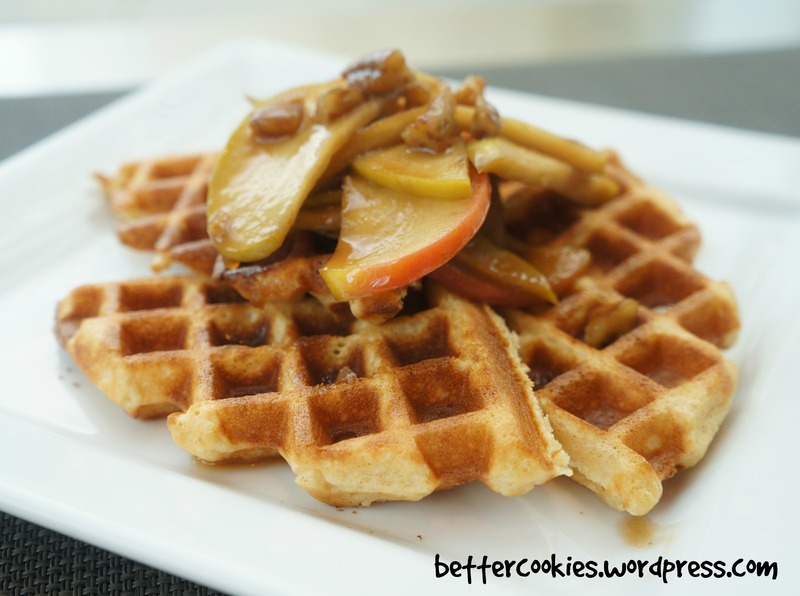 So when we launched our new Pancake & Waffle Mix, I was like, yay, but what am I going to do with it? And then I discovered all these fun savory recipes you can create with our mix – everything from biscuits, to scones, to using it as a batter to deep fry other yumminess, and the list goes on and on! 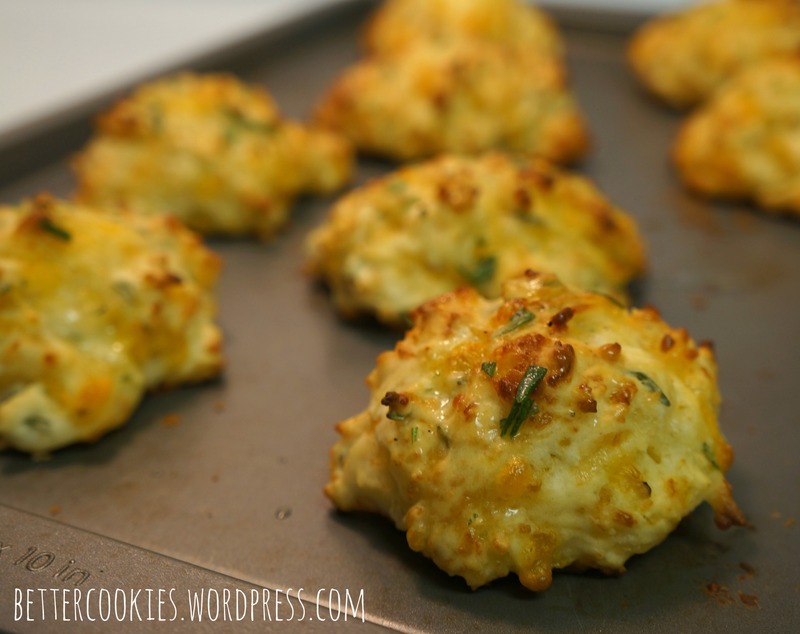 This Cheesy Rosemary Biscuits is as easy as it gets! 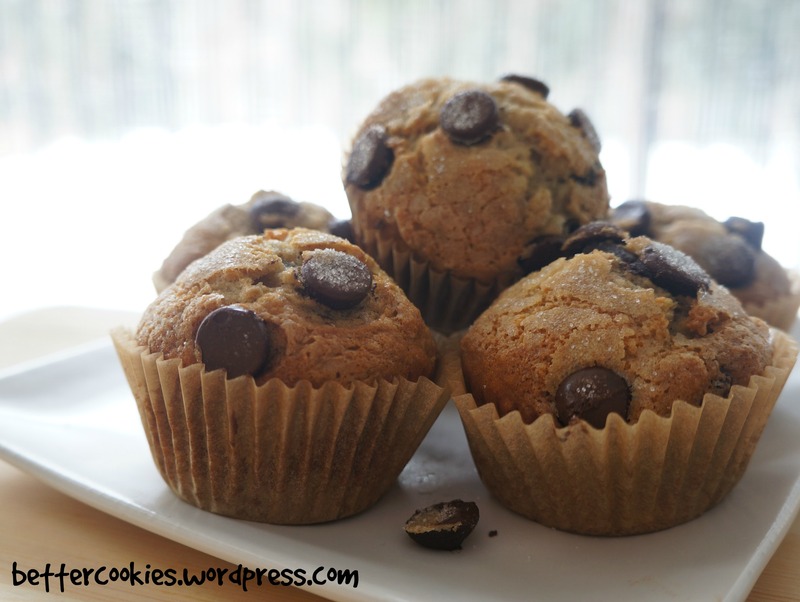 Just mix in all the ingredients, spoon out the dough onto your cookie sheet, pop them in the oven, and voila, you have a basket fully of freshly baked yummy goodies! Enjoy! Here’s How to Get Your Mix On! Heat oven to 450°F. In medium bowl, stir Pancake & Waffle mix, cheese, milk and 1/2 teaspoon of the rosemary leaves until soft dough forms. On ungreased cookie sheet, drop dough by 9 spoonfuls.